The next upcoming the Prophet's Birthday starts on sundown of Saturday November 9 ending at sundown on Sunday November 10, 2019. This day marks the celebration of the Islamic prophet Muhammad's birthday. It is observed on the 12th or 17th day of Rabi' al-awwal Islamic month. It is a day of fasting and community meals, outdoor celebrations, and special prayers from the Muslim population in the United States. It is not a U.S. government holiday, although some Muslim businesses may be closed for all or part of the day. The day reflects how Muslims can live honorable by holding lectures on Muhammad's life in Islamic institutions or mosques. It is a time to educate non-Muslims the understanding of Islam. It is not to convert to Islam. Often the celebration includes parades, outdoor activities, and communal meals including a birthday cake. Non-muslims are welcome to attend the meals and lectures in the community. 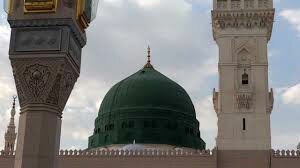 The late twelfth century was the earliest observation of Muhammad's birth. This took place on the 12th day of Rabi'I associated with the beginning of Spring. It was a way to strengthen the identity of Muslim and counteracting the Christian festivities. The holy day was mostly celebrated by the court and ruling class, not the common population.